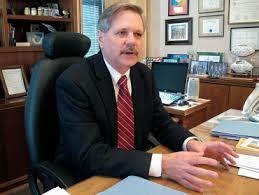 Senator John Hoeven Responds to the President’s State of the Union Address. “The president needs to work with Congress to meet the key challenges facing our nation. The right approach is to build a legal, regulatory and tax environment that attracts private investment and gets our economy going again. We need to find sensible savings to address our debt and deficit and pass pro-growth tax reform that will encourage businesses to hire. We also need bipartisan healthcare reform that empowers people to choose their own insurance company and their own health care provider rather than a government run program. “America’s energy sector is an area that holds especially great potential for our nation. The president should be working with Congress to build the kind of energy strategy in America that will not only help us achieve energy independence, but also create jobs and spur our economy. “Although it is only one project, the Keystone XL pipeline illustrates the way the president is holding up our economy and discouraging real, private-sector job creation. The Keystone pipeline, and projects like it, will create millions of jobs. The U.S. Chamber of Commerce counts 351 energy projects, both renewable and traditional, that are stalled at a cost of $1.1 trillion to the American economy and nearly two million jobs for the American people. 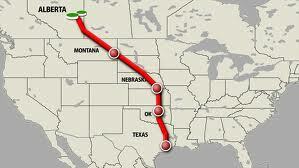 Yet, the Keystone XL pipeline has languished for five years in regulatory limbo, while millions remain jobless. “The president needs to work in a bipartisan way as we are in Congress with the farm bill to support our farmers and ranchers, who provide the nation with the highest quality, lowest cost food supply in the world. Similarly, we need to work together on behalf of our military and our veterans to support them and ensure they are taken care of as they deserve, for instance by fixing the cost-of-living adjustment for retired military.